No crazy theme this week, just some books that I think you should check out! Yesterday, as I was writing my review of Naruto, I realized that my favorite Manga has not yet made my list of reviews here in the 365/365. Death Note was recommended to me by my old department chair who had some amazing book recommendations during the brief time that I was lucky enough to work under him. Once I started reading Death Note, I was hooked. 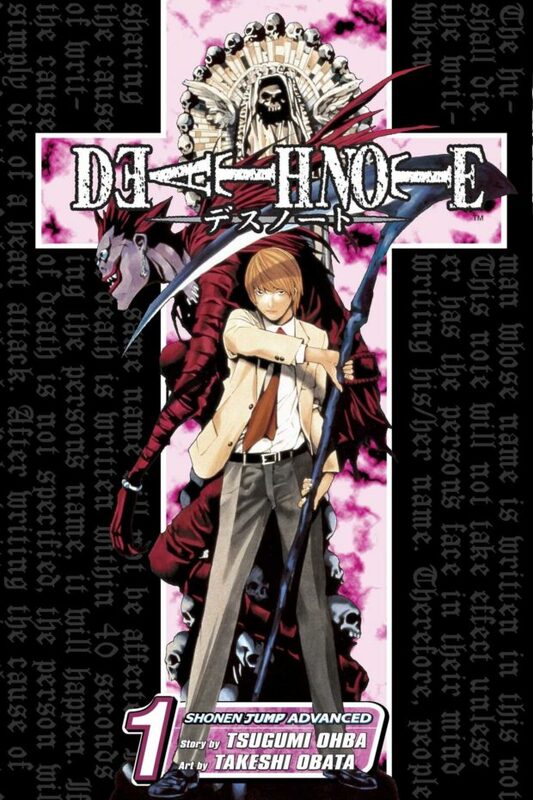 A couple of you might have discovered that Death Note has been reviewed before on my site by a student as an assessment, and that review is great and much more in-depth than this one will be; however, I’m writing every day, and he had weeks to work on his, so back off! But if you want to read his amazing review, just click here. I’ll run down the premise very quickly, and if you want more about the plot, you can click on the link above and read Hayden’s review; I will focus more on the classroom implications of the book. 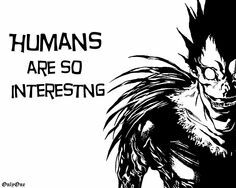 This guy above is Ryuk. Ryuk is the Death God that drops the note and hangs out with Light; only those that have touched the note can see him. And he LOVES apples…wait…can you see him? Dang, you might have touched the note. I could go on and on about how great the writing and art in this series are, but what this book has given me is more than hours of reading enjoyment; this book has opened up my students to worlds of reading that I had not expected. When we read Death Note, we read the Black Edition Vol. 1 which contains the first three books, and after we read it, the school library cannot keep the rest of the books on the shelf. This is one of those gateway books that if used right, can create lifelong readers. When I was in high school, teachers did not give me books that I fell in love with; they gave me cannon. Cannon that worked against the spirit of building up a struggling reader. I fight against that. I try to give kids, especially in this digital age where it’s too easy to not read, books that will hook them. Death Note has worked to do that for the last two years. The story is so interesting and so well crafted that if you buy it and do not like it, I will personally give you 5 cents back from your purchase…5 cents, I know, I’m a teacher, not Bill Gates. But that’s not even an issue because you will dig it. I spoke yesterday about letting Naruto be the entry way into Manga for some kids, let Death Note be your entry way into the genre as it was mine. Take what I say with caution. This book contains themes that are heavy. Lots of people die in this series, and most of them are murdered, so yes it is amazing story-telling, but it is not for everyone.